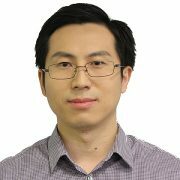 Dr. Tao Qin (秦涛) is currently a Senior Research Manager in Machine Learning Group, Microsoft Research Asia. His research interests include machine learning (with the focus on deep learning and reinforcement learning), artificial intelligence (with applications to language understanding and computer vision), game theory and multi-agent systems (with applications to cloud computing, online and mobile advertising, ecommerce), information retrieval and computational advertising. He got his PhD degree and Bachelor degree both from Tsinghua University. He is a senior member of ACM and IEEE, and an Adjunct Professor (PhD advisor) in the University of Science and Technology of China. We are hiring all levels of researchers! Please email me if you have good coding skills and are passionate about deep learning and reinforcement learning. Microsoft Learning to Rank Datasets with tens of thousands of queries and millions of documents have been released. If you find any problems or have any suggestions, please let us know. Jiang Rong, Tao Qin, Bo An, Competitive Bridge Bidding with Deep Neural Networks, AAMAS 2019. Yibo Sun, Duyu Tang, Nan Duan, Tao Qin, Shujie Liu, Zhao Yan, Ming Zhou, Yuanhua Lv, Wenpeng Yin, Xiaocheng Feng, Bing Qin, Ting Liu, Joint Learning of Question Answering and Question Generation, TKDE 2019. Yiren Wang, Yingce Xia, Tianyu He, Fei Tian, Tao Qin, ChengXiang Zhai, Tie-Yan Liu, Multi-Agent Dual Learning, ICLR 2019. Jun Gao, Di He, Xu Tan, Tao Qin, Liwei Wang, Tieyan Liu，Representation Degeneration Problem in Training Natural Language Generation Models, ICLR 2019. Xu Tan, Yi Ren, Di He, Tao Qin, Tie-Yan Liu, Multilingual Neural Machine Translation with Knowledge Distillation, ICLR 2019. Guoqing Liu, Li Zhao, Feidiao Yang, Jiang Bian, Tao Qin, Nenghai Yu, and Tie-Yan Liu, Trust Region Evolution Strategies, AAAI 2019. Yiren Wang, Fei Tian, Di He, Tao Qin, Chengxiang Zhai, Tie-Yan Liu, Non-Autoregressive Machine Translation with Auxiliary Regularization, AAAI 2019. Junliang Guo, Xu Tan, Di He, Tao Qin, and Tie-Yan Liu, Non-Autoregressive Neural Machine Translation with Enhanced Decoder Input, AAAI 2019. Yingce Xia, Tianyu He, Xu Tan, Fei Tian, Di He, and Tao Qin, Tied Transformers: Neural Machine Translation with Shared Encoder and Decoder, AAAI 2019. Chengyue Gong, Xu Tan, Di He, and Tao Qin, Sentence-wise Smooth Regularization for Sequence to Sequence Learning, AAAI 2019. Lijun Wu, Fei Tian, Yingce Xia, Tao Qin, Jianhuang Lai, and Tie-Yan Liu, Learning to Teach with Dynamic Loss Functions, NIPS 2018. Tianyu He, Xu Tan, Yingce Xia, Di He, Tao Qin, Zhibo Chen, and Tie-Yan Liu, Layer-Wise Coordination between Encoder and Decoder for Neural Machine Translation, NIPS 2018. Lijun Wu, Fei Tian, Tao Qin, Jianhuang Lai and Tie-Yan Liu, A Study of Reinforcement Learning for Neural Machine Translation, EMNLP 2018. Xu Tan, Lijun Wu, Di He, Fei Tian, Tao QIN, Jianhuang Lai, and Tie-Yan Liu, Beyond Error Propagation in Neural Machine Translation: Characteristics of Language Also Matter, EMNLP 2018. Yingce Xia, Xu Tan, Fei Tian, Tao Qin, Nenghai Yu, and Tie-Yan Liu, Model-Level Dual Learning, ICML 2018. Lijun Wu, Yingce Xia, Li Zhao, Fei Tian, Tao Qin, Jianhuang Lai, and Tie-Yan Liu, Adversarial Neural Machine Translation, ACML 2018. Kaitao Song, Xu Tan, Di He, Jianfeng Lu, Tao Qin, and Tie-Yan Liu, Double Path Networks for Sequence to Sequence Learning, COLING 2018. Hany Hassan, Anthony Aue, Chang Chen, Vishal Chowdhary, Jonathan Clark, Christian Federmann, Xuedong Huang, Marcin Junczys-Dowmunt, William Lewis, Mu Li, Shujie Liu, Tie-Yan Liu, Renqian Luo, Arul Menezes, Tao Qin, Frank Seide, Xu Tan, Fei Tian, Lijun Wu, Shuangzhi Wu, Yingce Xia, Dongdong Zhang, Zhirui Zhang, Ming Zhou, Achieving Human Parity on Automatic Chinese to English News Translation, arXiv 2018. Jianxin Lin, Yingce Xia, Tao Qin, Zhibo Chen, and Tie-Yan Liu, Conditional Image-to-Image Translation, CVPR 2018. Fei Gao, Lijun Wu, Li Zhao, Tao Qin, and Tie-Yan Liu, Efficient Sequence Learning with Group Recurrent Networks, NAACL 2018. Yijun Wang, Yingce Xia, Li Zhao, Jiang Bian, Tao Qin, Guiquan Liu, and Tie-Yan Liu, Dual Transfer Learning for Neural Machine Translation with Marginal Distribution Regularization, AAAI 2018. Jiang Rong, Tao Qin, and Bo An, Dynamic Pricing for Reusable Resources in Competitive Market with Stochastic Demand, AAAI 2018. Duyu Tang, Nan Duan, Tao Qin, Zhao Yan, and Ming Zhou, Question Answering and Question Generation as Dual Tasks, arXiv 2017. Chang Xu, Tao Qin, Gang Wang, and Tie-Yan Liu, Reinforcement Learning for Learning Rate Control, arXiv 2017. Aadharsh Kannan, Justin Rao, Preston McAfee, Di He, Tao Qin and Tie-Yan Liu, Scale Effects in Web Search, WINE 2017. Yingce Xia, Fei Tian, Lijun Wu, Jianxin Lin, Tao Qin, and Tie-Yan Liu, Deliberation Networks: Sequence Generation Beyond One-Pass Decoding, NIPS 2017. Di He, Hanqing Lu, Yingce Xia, Tao Qin, Liwei Wang, and Tie-Yan Liu, Decoding with Value Networks for Neural Machine Translation, NIPS 2017. Yingce Xia, Tao Qin, Wei Chen, Jiang Bian, Nenghai Yu and Tie-Yan Liu, Dual Supervised Learning, ICML 2017. Lijun Wu, Li Zhao, Tao Qin, and Tie-Yan Liu, Sequence Prediction with Unlabeled Data by Reward Function Learning, IJCAI 2017. Yingce Xia, Jiang Bian, Tao Qin, Tie-Yan Liu, Dual Inference for Machine Learning, IJCAI 2017. Xujin Chen, Xiaodong Hu, Tie-Yan Liu, Weidong Ma, Tao Qin, Pingzhong Tang, Changjun Wang, Bo Zheng, Efficient Mechanism Design for Online Scheduling (Extended Abstract), IJCAI 2017. Yingce Xia, Tao Qin, Wenkui Ding, Haifang Li, Xu-Dong Zhang, Nenghai Yu and Tie-Yan Liu, Finite Budget Analysis of Multi-armed Bandit Problems, Neurocomputing. Chang Xu, Tao Qin, Yalong Bai, Gang Wang and Tie-Yan Liu, Convolutional Neural Networks for Posed and Spontaneous Expression Recognition, ICME 2017. Jiang Rong, Tao Qin, Bo An and Tie-Yan Liu, Pricing Optimization for Selling Reusable Resources, AAMAS 2017. Jiang Rong, Tao Qin, Bo An and Tie-Yan Liu, Revenue Maximization for Finitely Repeated Ad Auctions, AAAI 2017. Jia Zhang, Weidong Ma, Tao Qin, Xiaoming Sun and Tie-Yan Liu, Randomized Mechanisms for Selling Reserved Instances in Cloud Computing, AAAI 2017. Yingce Xia, Fei Tian, Tao Qin, Nenghai Yu and Tie-Yan Liu, Sequence Generation with Target Attention, ECML 2017. Di He, Yingce Xia, Tao Qin, Liwei Wang, Nenghai Yu, Tie-Yan Liu, and Wei-Ying Ma, Dual Learning for Machine Translation, NIPS 2016. Xujin Chen, Xiaodong Hu, Tie-Yan Liu, Weidong Ma, Tao Qin, Pingzhong Tang, Changjun Wang, Bo Zheng, Efficient Mechanism Design for Online Scheduling, accepted by Journal of Artificial Intelligence Research (JAIR), 2016. Jiang Rong, Tao Qin, Bo An, Tie-Yan Liu, Modeling Bounded Rationality for Sponsored Search Auctions, ECAI 2016. Yingce Xia, Tao Qin, Nenghai Yu, Tie-Yan Liu, Best Action Selection in a Stochastic Environment, AAMAS 2016. Tie-Yan Liu, Weidong Ma, Pingzhong Tang, Tao Qin, Guang Yang, Bo Zheng, Online Non-Preemptive Story Scheduling in Web Advertising, AAMAS 2016. Jiang Rong, Tao Qin, Bo An, Tie-Yan Liu, Optimal Sample Size for Adword Auctions, AAMAS 2016, short paper. Bo Zheng, Li Xiao, Guang Yang, Tao Qin, Online Posted-Price Mechanism with a Finite Time Horizon, AAMAS 2016, short paper. Qizhen Zhang, Haoran Wang, Yang Chen, Tao Qin, Ying Yan, Thomas Moscibroda, A Shapley Value Approach for Cost Allocation in the Cloud, SOCC 2015, poster. Yingce Xia, Haifang Li, Tao Qin, Nenghai Yu, and Tie-Yan Liu, Thompson Sampling for Budgeted Multi-armed Bandits, IJCAI 2015. Bolei Xu, Tao Qin, Guoping Qiu, and Tie-Yan Liu, Optimal Pricing for the Competitive and Evolutionary Cloud Market, IJCAI 2015. Changjun Wang, Weidong Ma, Tao Qin, Xujin Chen, Xiaodong Hu, Tie-Yan Liu, Selling Reserved Instances in Cloud Computing, IJCAI 2015. Long Tran-Thanh, Yingce Xia, Tao Qin, Nick Jenning, Efficient Algorithms with Performance Guarantees for the Stochastic Multiple-Choice Knapsack Problem, IJCAI 2015. Bnyi Chen, Tao Qin, and Tie-Yan Liu, Mechanism Design for Daily Deals, AAMAS 2015. Changjun Wang, Weidong Ma, Tao Qin, Feidiao Yang, Xujin Chen, Xiaodong Hu, and Tie-Yan Liu, New Mechanisms for Selling Reserved Instances in Cloud Computing, AAMAS 2015, short paper. Bolei Xu, Tao Qin, Guoping Qiu, Tie-Yan Liu, Competitive Pricing for Cloud Computing in Evolutionary Market, AAMAS 2015, short paper. Jiang Rong, Tao Qin, and Bo An. Quantal Response Equilibrium for Sponsored Search Auctions, AAMAS 2015, short paper. Hafang Li, Fei Tian, Wei Chen, Tao Qin, Zhi-Ming Ma, and Tie-Yan Liu, Generalization Analysis for Game-Theoretic Machine Learning, AAAI 2015. Tie-Yan Liu, Wei Chen, and Tao Qin, Mechanism Learning with Mechanism Induced Data, AAAI 2015. Junpei Komiyama and Tao Qin, Time-Decaying Bandits for Non-stationary Systems, WINE 2014. Tao Qin, Wei Chen, and Tie-Yan Liu. Sponsored Search Auctions: Recent Advances and Future Directions, ACM Transactions on Intelligent Systems and Technology, 2014. Jiang Rong, Tao Qin, and Bo An. Quantal Response Equilibrium for Sponsored Search Auctions: Computation and Inference, Ad Auctions 2014, in conjunction with EC 2014. Wei Chen, Di He, Tie-Yan Liu, Tao Qin, Yixin Tao, and Liwei Wang. Generalized Second Price Auction with Probabilistic Broad Match, EC 2014. Yingce Xia, Tao Qin, and Tie-Yan Liu. Incentivizing High-quality Content from Heterogeneous Users: On the Existence of Nash Equilibrium, AAAI 2014. Fei Tian, Haifang Li, Wei Chen, Tao Qin, and Tie-Yan Liu. Agent Behavior Prediction and Its Generalization Analysis, AAAI 2014. Weihao Kong, Jian Li, Tao Qin, and Tie-Yan Liu, Optimal Allocation for Chunked-Reward Advertising, WINE 2013. Wenkui Ding, Tao Wu, Tao Qin, and Tie-Yan Liu, Price of Anarchy for Generalized Second Price Auction, arXiv preprint arXiv:1305.5404. Min Xu, Tao Qin, and Tie-Yan Liu, Estimation Bias in Multi-Armed Bandit Algorithms for Search Advertising, NIPS 2013. Wenkui Ding, Tao Qin, Xu-Dong Zhang and Tie-Yan Liu, Multi-Armed Bandit with Budget Constraint and Variable Costs, AAAI 2013. Xiubo Geng, Tao Qin, Xue-Qi Cheng and Tie-Yan Liu, A Noise-Tolerant Graphical Model for Ranking, Information Processing and Management, 2012. Sungchul Kim, Tao Qin, Hwanjo Yu and Tie-Yan Liu, An Advertiser-Centric Approach to Understand User Click Behavior in Sponsored Search, CIKM 2011. Xiubo Geng, Tie-Yan Liu, Tao Qin, Xue-Qi Cheng and Hang Li, Selecting Optimal Training Data for Learning to Rank, Information Processing and Management, 2011. Tao Qin, Xiu-Bo Geng and Tie-Yan Liu, A New Probabilistic Model for Rank Aggregation, NIPS 2010. Wenkui Ding, Tao Qin and Xu-Dong Zhang, Learning to Rank with Supplementary Data, AIRS 2010. Yajuan Duan, Long Jiang, Tao Qin, Ming Zhou and Harry Shum. An Empirical Study on Learning to Rank of Tweets, COLING 2010. Jiang Bian, Tie-Yan Liu, Tao Qin, Hongyuan Zha. Ranking with Query-Dependent Loss for Web Search, WSDM 2010. Zhengya Sun, Tao Qin, Jue Wang, Qing Tao. Robust Sparse Rank Learning for Non-Smooth Ranking Measures, SIGIR 2009. Yan-Yan Lan, Tie-Yan Liu, Tao Qin, Zhi-Ming Ma, Hang Li. Query-Level Stability and Generalization in Learning to Rank, ICML 2008. Xiu-Bo Geng, Tie-Yan Liu, Tao Qin, Andrew Arnold, Hang Li, Heung-Yeung Shum. Query Dependent Ranking Using K-Nearest Neighbor, SIGIR 2008. Tie-Yan Liu, Jun Xu, Tao Qin, Wenying Xiong, Hang Li. LETOR: Benchmark Dataset for Research on Learning to Rank for Information Retrieval, SIGIR 2007 workshop: Learning to Rank for Information Retrieval. Zhe Cao, Tao Qin, Tie-Yan Liu, Ming-Feng Tsai, Hang Li. Learning to Rank: From Pairwise Approach to Listwise Approach, ICML 2007. Tao Qin, Tie-Yan Liu, Wei Lai, Xu-Dong Zhang, De-Sheng Wang, Hang Li. Ranking with Multiple Hyperplanes, SIGIR 2007. Xiubo Geng, Tie-Yan Liu, Tao Qin, Hang Li. Feature Selection for Ranking, SIGIR 2007. Mingfeng Tsai, Tie-Yan Liu, Tao Qin, Hsin-Hsi Chen, Wei-Ying Ma. FRank: A Ranking Method with Fidelity Loss, SIGIR 2007. Yu-Ting Liu, Tie-Yan Liu, Tao Qin, Zhi-Ming Ma, Hang Li. Supervised Rank Aggregation, WWW 2007. Bin Gao, Tie-Yan Liu, Tao Qin, Xin Zheng, Qian-Sheng Cheng, Wei-Ying Ma. Web Image Clustering by Consistent Utilization of Low-level Features and Surrounding Texts, ACM Multimedia 2005. Tao Qin, Tie-Yan Liu, Xu-Dong Zhang, Zheng Chen, Wei-Ying Ma. A Study of Relevance Propagation for Web Search, SIGIR 2005.